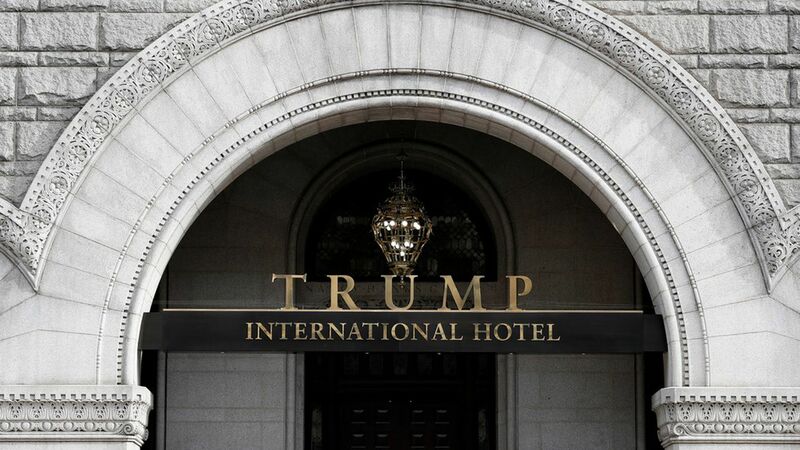 Anti-Trump hotel coming to D.C.
Eaton Workshop, a new hotel designed for liberal activists, is set to open in spring 2018 in Washington, reports Bloomberg, calling it "the world's first politically motivated hotel." In an era of increased activism and "conscious consumers," Eaton Workshop, which is being built just blocks from The Trump International Hotel, plays on the political unrest that has intensified since Donald Trump was elected president. The hotel's founder, Katherine Lo, describes it as "a non-profit, but better." Lo told Bloomberg that there will be a focus on community outreach. Eaton Workshop will host a series of progressive lectures and fireside chats, and partner with local artists and museums. All day long, a montage of footage from the presidential elections of 2012 and 2016 will be broadcast on a series of vintage-style TV screens in the hotel's lobby. The 209-room building will be the brand's flagship hotel, and locations are also planned for Hong Kong, San Francisco and Seattle in the next few years. Key quote: "We plan to have new ideas in the minibar — an activist toolkit, for example, that includes sheets with information to help you call your congresspeople," Lo told Bloomberg. "And if we'd been open during this year's Women's March, I could have seen us putting poster boards and markers in the rooms."